Uber admitted in court filings today that its in-house self-driving car technology isn’t ready to hit the road, and denied accusations from Waymo, Google’s driverless car project, that it’s using stolen tech designs. It’s a surprise move for the ride-hailing giant, said to be worth close to $70 billion, to admit it’s second-best in the race to develop a functional autonomous vehicle. In a court filing entered on Friday, Uber said it began designing a component of its self-driving system nearly a year before hiring Anthony Levandowski, the former Waymo engineer at the center of the lawsuit who’s accused of stealing 14,000 files before launching his self-driving truck start-up Otto. Uber also says documents Levandowski allegedly stole were never uploaded to Uber’s system. In other words, Uber says, the files were never used to develop the autonomous driving component that’s key to the dispute, LiDAR, which stands for “light detection and ranging” and helps the car “see” the road. “To be clear, Uber never had possession of or used any of Waymo’s trade secrets or the 14,000 files that Waymo alleges Mr. Levandowski downloaded,” according to the filing. Uber’s filing came in response to a motion for a preliminary injunction filed last month by Waymo, which asked the judge overseeing the case to order Uber’s self-driving car efforts to stop while the case proceeds. 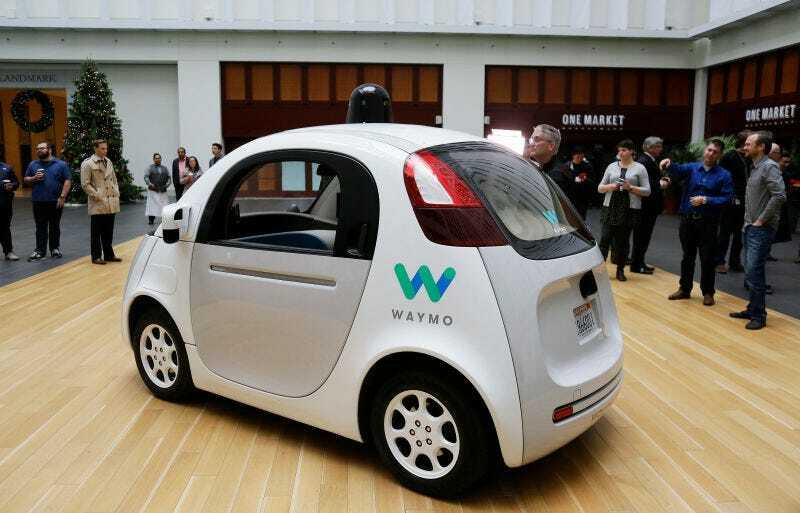 Angela Padilla, Uber’s associate general counsel, called Waymo’s request a “misfire.” That’s because Uber’s system doesn’t mirror Waymo’s, as the Google project alleges in the lawsuit: for instance, Uber uses a LiDAR with four lenses, whereas Waymo’s system relies on one. In court, Uber’s attorneys have said the company can’t locate the 14,000 files that Levandowsi allegedly stole before leaving Waymo in January 2016 to launch Otto. As Jalopnik reported this week, from the outset of Levandowski’s departure, he was immediately entwined with Uber, which proposed purchasing Otto just two months after Levandowski started the company. Levandowski sold Otto to Uber for $680 million in August. Surprisingly, Uber admitted that it hasn’t installed a LIDAR of its own design on any self-driving vehicle that’s currently on the road. The company is testing self-driving cars in San Francisco, Arizona and Pittsburgh. But documents filed with the State of Nevada detailed that Otto had developed an “in-house” system that had been already deployed. That wasn’t the case, after all, Uber says. “Otto trucks deployed in Nevada, however, did not have any LiDAR on them at all, much less LiDAR developed in-house, as shown by pictures taken of an Otto truck during its test runs,” according to Uber’s filing. Waymo countered that it has “clear evidence” that Uber is using, or plans to use, stolen trade secrets to develop in-house LiDAR tech. In its original suit, filed in February, Waymo claimed that an employee inadvertently received an email from Otto that showed “what purported to be an Otto circuit board that bore a striking resemblance to — and shared several unique characteristics with — Waymo’s highly confidential current-generation” It had a “striking resemblance” because Levandowski’s allegedly stolen files included Waymo’s LiDAR design. “We’re asking the court to step in based on clear evidence that Uber is using, or plans to use, our trade secrets to develop their LiDAR technology, as seen in both circuit board blueprints and filings in the State of Nevada,” a Waymo spokesperson said in a statement. An injunction could prove chaotic for Uber, which has said that self-driving cars are “existential” for the company. And Uber’s defense is complicated by the fact that—for now—Levandowski has said he’s going to plead the Fifth Amendment to avoid self-incrimination, if he’s asked to testify. Levandowski’s lawyers said at a hearing last month that he could possibly face criminal charges. A hearing on Waymo’s motion is scheduled for May 3.